Located about just a little bit south from Georgian Bay (the Lake Huron region, not the city itself-that's about an hour and half to the northeast) in quaint little town Creemore, Ontario sits the Creemore Spring brewery which, according to what info I could glean from the internet, is the largest employer in that particular area. It's color is nice amber shade accented with a right amount of carbonation to give a bit of a sparkle when drinking it out of glass in the afternoon sun. It's not too big but not too small head is a bit on the tan side filled with bubbles that when it fades leaves a light lace around. Looks good and that's always a good start. The aroma is strong but does have a nice bouquet of caramel, a bit of nuttiness and some citrus and grassy notes to top it off. Tastewise it's pretty interesting. It starts off with a bit of a creamy sweetness from the malts, followed by a little bit of hop and then finishes clean. It's light and refreshing but also full bodied and well rounded all the way through. I shared a couple of the cans (I was only able to score a sixer from a Canadian friend and fellow beer and music geek who brought them over for me to check out) with my wife and a friend of of ours while sitting out and enjoying the sun on an 85° afternoon this past August. All three of us almost at the same time "It's too bad this isn't available in Michigan because I could easier see this being something I would want to drink all through the summer." Summer is fleeting though but I think even through the autumn months (and probably even into the winter) these would still hit the spot. Sleemans died for dumb sins. Miller own Leinekugel and Coors owns Blue Moon in the states. Both good beers right? Leinenkugel's original Lager was quite tasty in the early 90's. Miller has held and interest in them for a long time now. I'm not really a fan of what they have rolled out since except in rare case. Actually a lot of their things (esp. their fruit flavored beers) are seriously wrong tasting to me. I liked Blue Moon for a bit even if I knew it was own by Coors but it seems something changed in their formula of their standard wheat ale through the years and all their special ales range from no big deal to horrible. AB/InBev hold interest in a bunch of microbrweries too. Goose Island, Red Hook, Widmer for example. Some of their beers are good some not. None are in my top 20 favorite breweries ever (which reminds me I should make a list of that some day). I never tried Creemore til this summer. My wife, a couple of beer geek friends and I who tried it found it good for what it is. There's A LOT of insipid lagers out there. 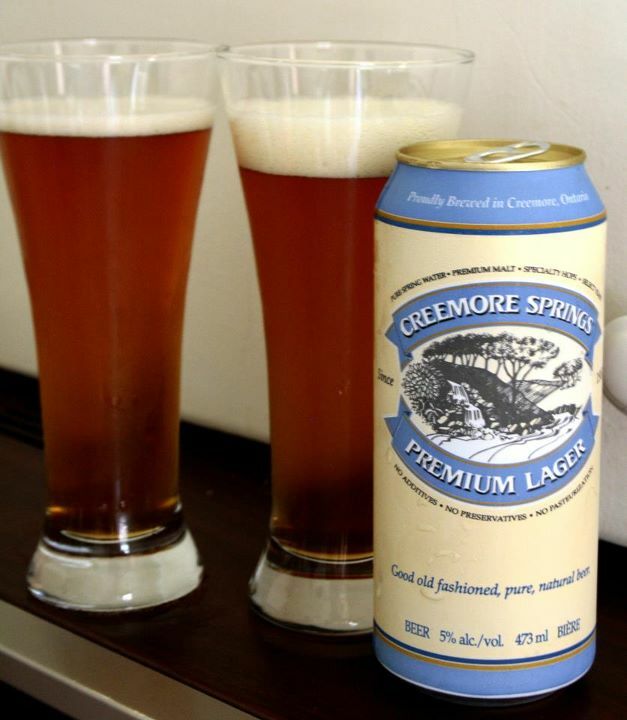 Creemore actually taste like one should (and most likely did in a lot of regional places before the big national beer boom of the 60's and 70's).